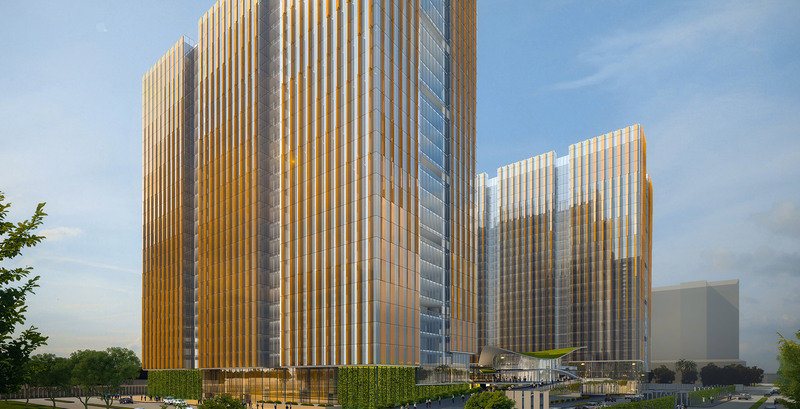 Brigade brings world’s most coveted business address to Chennai. Joining the ranks of 334 WTCs present across the globe, WTC Chennai will be the tallest commercial establishment in the city. It is a complete business eco-system with residences, hotel and retail space. The development consists of a built up area of 1.8 million sq.ft spread across two towers. WTC Chennai is a Grade A++ commercial development strategically located in the established IT hub on OMR pre-toll at Perungudi with an excellent frontage. The project is a Joint Venture between Brigade & GIC (Singapore investment corporation). The master plan & concept is designed by world renowned design, architecture, engineering & planning firm HoK, New York.